Today was my first “Arigato Event” with World Campus Japan, it was quite the experience. 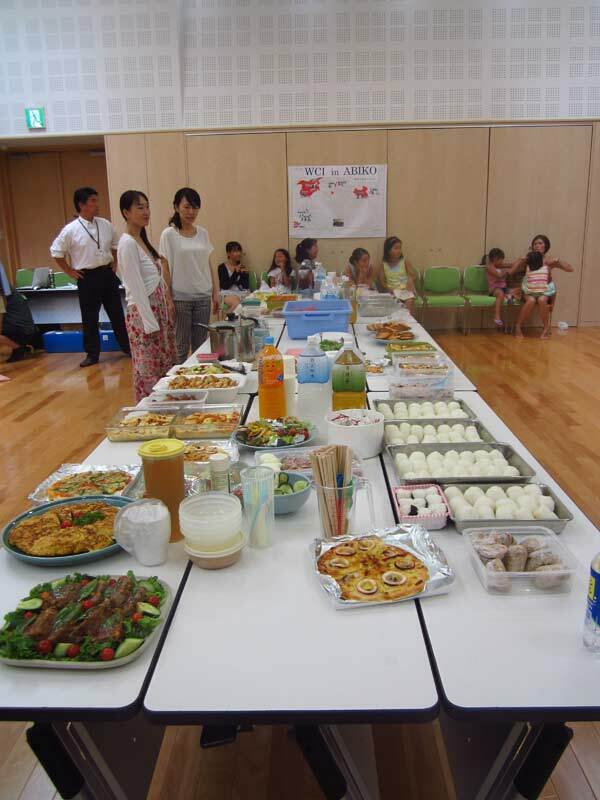 Lunch consisted of various dishes from everyone’s home country; it was truly an international smorgasbord. While very embarrassing, the dances were fun because I could tell my host family really enjoyed watching the performances. The crowd really did love our surprise opening to Michael Jackson’s “Beat It”. I was happy I decided to read aloud my thank you letter; I received many compliments on my Japanese from my host family as well as others. It is a strange feeling to get to know a family so well over the course of a short week. While this week has been a lot of fun and I will miss my host family in Abiko, I am excited for what adventures await me in Nagoya!